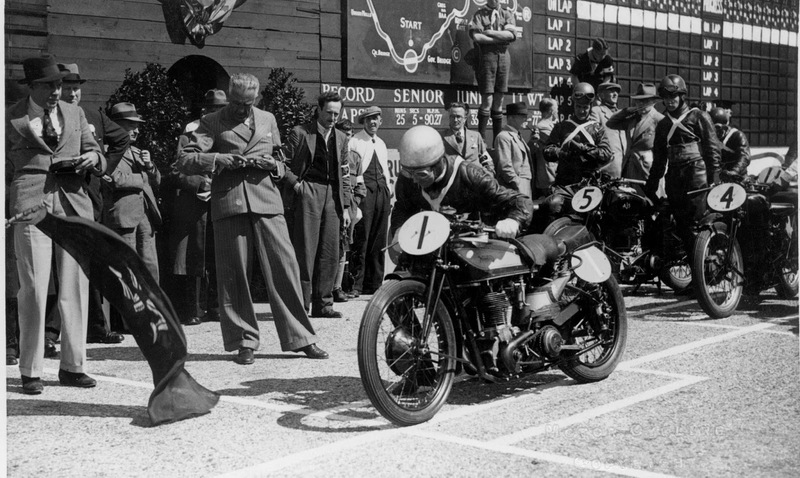 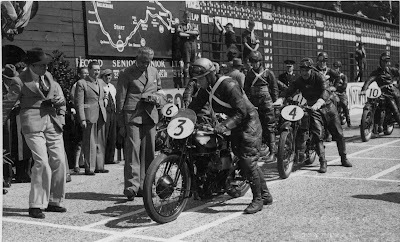 -JdK- Contributed by Dennis, two Model 40 Nortons at the 1938 Junior TT, Isle of Man. Number 1 is H.B.Waddington who came 12th. 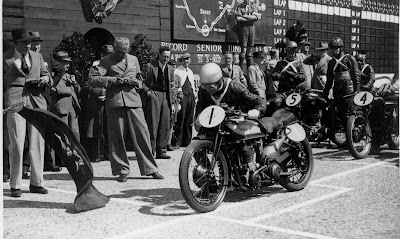 J.C.Galway on number 3 retired.